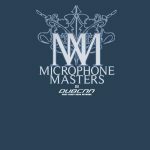 Episode 142 of Microphone Masters Radio on Dubcnn.com welcomes the return of Blaze Rock, one of the Founding Fathers of Microphone Masters. They welcome special guest: Erk Tha Jerk. 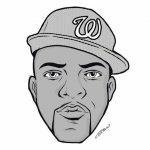 Erk talks about his love of photography, his status as a Mixtape Mobb Dj, fatherhood, community activism and of course his music. You don’t want to miss this candid conversation. Blaze Rock shares his experiences from his recently completed tour. What did he love and hate? Prophets of Rage is a new Supergroup comprised of members of Rage Against the Machine, Cypress Hill and Public Enemy. The fellas talk about the potential of this musical creation. Terrestrial radio Vs. Satellite: Where do you stand in this debate? J and Blaze talk about the long term viability of terrestrial radio. Don’t miss this episode’s last words. Inspirational. 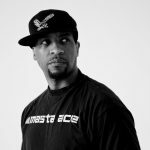 Check out songs from Masta Ace, Public Enemy, Erk tha Jerk, Nas, Redman, Method Man, Reks and more. Segment 3: Is Terrestrial Radio on its Last Legs? T.I. feat Marsha Ambrosius – DOPE!